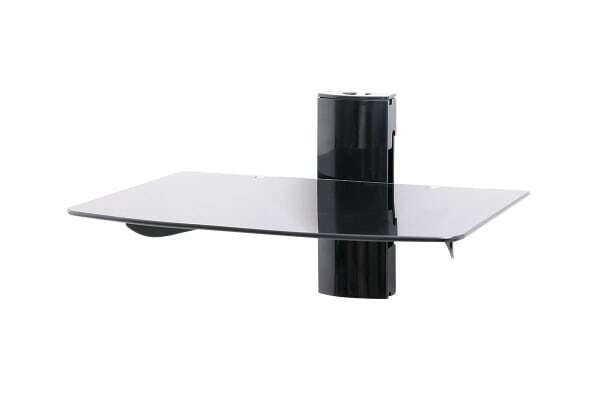 Complementing your mounted TV perfectly, this Height Adjustable Glass Shelf Wall Bracket saves space and holds your DVD or Blu-ray players and entertainment consoles in style. Display your DVD or Blu-ray player at the perfect height under your mounted TV with the Kogan Height Adjustable Glass Shelf Wall Bracket. 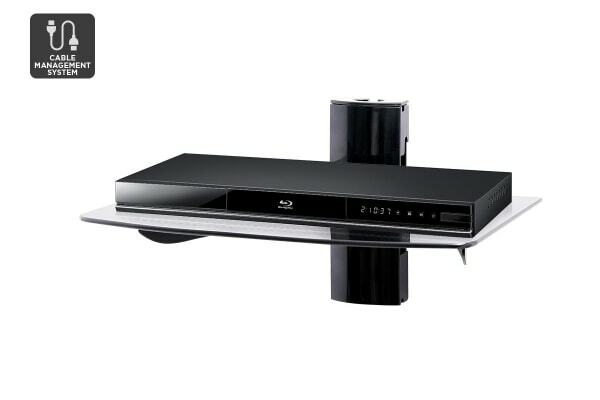 This accessory for your mounted TV has adjustable height and not only holds interdependent devices close to your TV, it helps in optimum utilization of space and adds a classy touch to your decor. Thanks to its clever cable management system, all cords and cables are neatly hidden from view keeping the area tidy. I haven't had time to install the shelves yet, but a quick examination of the contents of the box suggests all is in order.